Mishon Welton are delighted to offer to market this bright and airy 2 bedroom top floor apartment located in one of Hove’s most prestigious addresses. Perfect for a first home or buy to let, this property forms part of a converted Victorian mansion house and is situated just a stones throw away from the seafront, the famous promenade and Hove lawns. The building itself is very well maintained and oozes period charm with red tile hung elevations and stained glass windows . The apartment boasts a spacious and bright living/dining area with a lovely feature fireplace. This large space is perfect for entertaining and hosting a dinner party or two! There are two good sized bedrooms with the master benefiting from ample built-in storage. A modern fitted kitchen and substantial bathroom complete this lovely apartment. 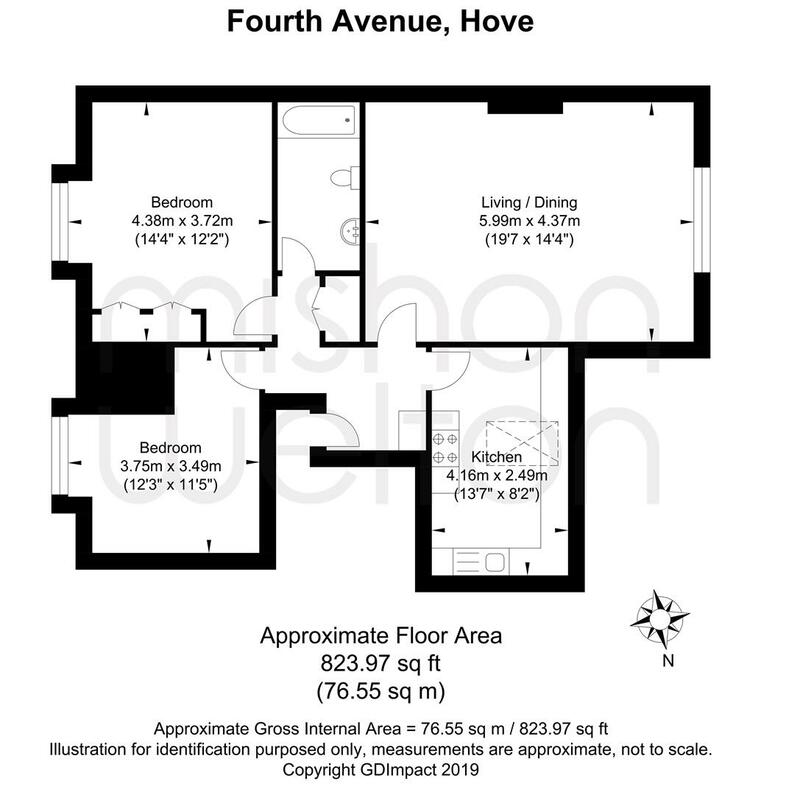 Located in a favourable position at the bottom of Fourth Avenue, the apartment is close to all local amenities along Church Road with a superb selection of bars, cafe’s, restaurants and shops, great transport links with local bus stops and a close distance to Hove mainline station. Viewings are highly recommended on this fantastic home. In short, a true gem!